Octopus, squid, and cuttlefish can change their skin’s colors, patterns, and textures in ways not seen anywhere else in the animal kingdom. You see what looks to be a clump of seaweed, and then it suddenly springs to life in the form of a retreating cephalopod. The changing of skin texture is a particularly impressive skill—one that marine biologists are now a step closer to understanding. Cuttlefish (Sepia officinalis) have a unique muscular organ in their skin that, when expressed, exhibits skin bumps called papillae. These protruding, three-dimensional spikes can dramatically alter the shape of the animal, allowing it to imitate the fine texture of surrounding objects, such as the contoured surface of kelp and algae or the jagged outline of coral. 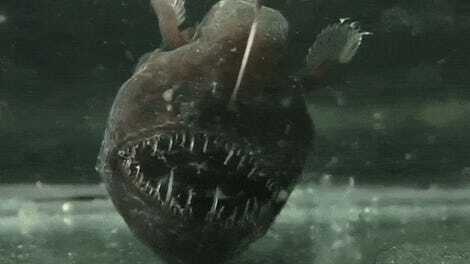 Scientists have puzzled over this ability for years, prompting an investigation by researchers from the Marine Biological Laboratory, Woods Hole Oceanographic Institute, and the University of Cambridge. 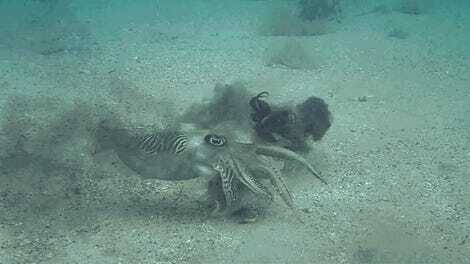 Their results, now published in iScience, reveal some surprising things about cuttlefish and how they’re able to pull off these amazing tricks of deception. 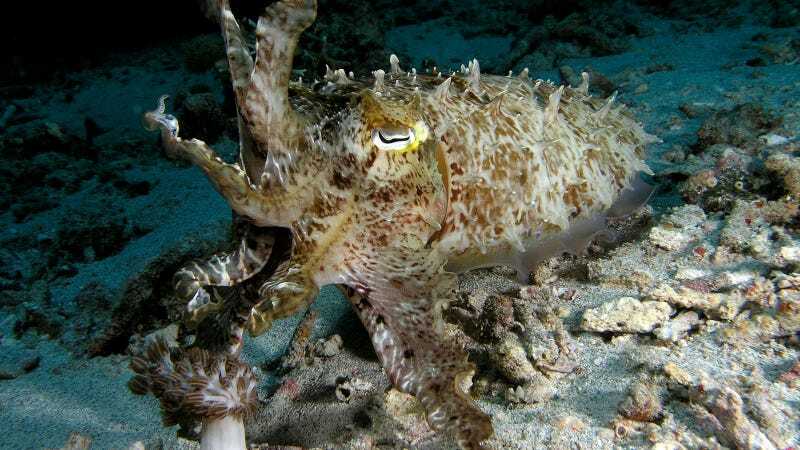 In the first of two major revelations, the researchers observed that cuttlefish can hold their papillae in the extended position for more than an hour—and without the use of neural signals to hold them in place. Diving into this a bit further, the scientists discovered a specialized arrangement of muscles similar to the “catch” mechanisms found in clams and other bivalves. “The catch mechanism allows a bivalve to snap its shell shut and keep it shut, should a predator come along and try to nudge it open,” said Wardill in a statement. This means that energy and mental effort isn’t required by the cuttlefish to keep these spikes erect. Rather, the tension, either consciously or unconsciously (we still don’t know), is maintained by smooth muscles that are locked in a tight embrace until a chemical agent in the form of a neurotransmitter hits the muscles with a “release” message. The scientists pinpointed a motor nerve that’s dedicated to papillary and skin tension control, but it’s not in the brain. Rather, it’s located within a peripheral nerve center known as the stellate ganglion. In the second big revelation, the scientists discovered that the neural circuit for papillae action is very similar to the neural circuit used by squid to control the iridescent quality of their skin (iridescence is where colors change depending on the angle of view, a good example being the rainbow-like appearance of soap bubbles). This is surprising because cuttlefish can’t change their iridescence, and squids don’t have papillae. This suggests some kind of common evolutionary overlap between the species. “We hypothesize that the neural circuit for iridescence and for papillae control originates from a common ancestor to squid and cuttlefish, but we don’t know that yet. This is for future work,” said Gonzalez-Bellido. The discovery of these physiological mechanisms is important for its own sake, but it could lead to new kinds of soft and dynamic materials that could be used in everything from medical applications (imagine a cuttlefish-inspired bandaid) to military camouflage (*ahem* this study was funded by the U.S. Air Force’s Office of Scientific Research). Often, the best inventions are ones that evolution has already created—we just have to find them, figure out how they work, and then apply them to our own needs.